It’s no surprise that December is one of the busiest months for Cabo. The combination of school holidays and colder weather makes a December vacation to Cabo San Lucas a must. Here’s some info on what’s going on during December in Cabo. If you are looking to get away from the start of the snowy season, Cabo San Lucas is a great vacation spot. Cabo’s desert climate guarantees that your vacation will be sunny and December temperatures are in the mid 70s to 80s so you can be sure come home with a great tan to show off to your friends. The water starts to get a little bit cooler in December, dropping to the mid 70s. Many people still go snorkeling and diving in December. Most hotels have heated pools and it is recommended that you call ahead and ask if your hotel’s pool is heated during December. Hiking or biking in the desert is best in the winter when the temperature is closer to the 70s. 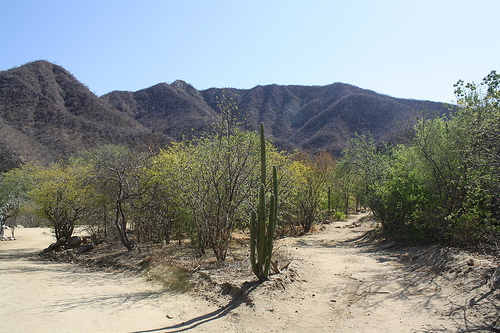 Many tour companies offer guided hiking or biking excursions through the Los Cabos terrain. You can choose mountain, desert or even town tours. Head up to Santiago and the Sierra de La Laguna Biosphere for a scenic oasis. Be sure to never hike alone and to bring plenty of water. While the best time to surf Los Cabos is in the summer, Todos Santos surfing is prime during the winter. With well known spots like La Pastora, Playa Pescadero and Cerritos, it’s worth a trip up the Pacific coast to try your board on these waves. These beaches draw surfers from all over the world. There’s nothing better than gliding over the Los Cabos desert. Canopy and zipline tours are very popular in Los Cabos. You will have to walk between the lines and it can get hot, so it’s best to go in the winter when the temperature drops into the 70s. Most tours are good for adults and older kids (8+) and last around 5 hours including transportation to the course. Make sure to bring sunblock! Every holiday season the Cabo Humane Society puts on its annual gala complete with cocktails, appetizers and live music. Tickets sales help fund the Humane Society which helps provide animal and disease control, animal rescue, adoption, and education programs. Each year has a theme and an auction benefiting the Humane Society. You can visit their website for tickets. According to legend, Mary appeared to Juan Diego, a peasant, outside of Mexico City in the 1500s. This event is celebrated through out Mexico as a religious Holiday. Many people make a pilgrimage to the Bascillica de Guadalupe in Mexico City, but there are celebrations all over Mexico. In Los Cabos, there is usually a parade and a religious mass at the Catholic churches. There are also night time celebrations. For a better look at the festival, head to San Jose del Cabo. Los Posadas is celebrated the nine days before Christmas and represents Mary and Joseph trying to find a place to stay in Bethleham. Members of a neighborhood are the “los peregrines” looking for a place to stay and carry statues of Mary and Joseph. They are refused lodging at many houses and then finally accepted. Traditionally, each family in a neighborhood picks a night to hold a Posada at their house. At the designated house for the evening, there is a nativity scene and a celebration complete with pinatas. While most of the festivities take place in the neighborhoods, many businesses may have “Los Posadas” themed events. Feliz Navidad! 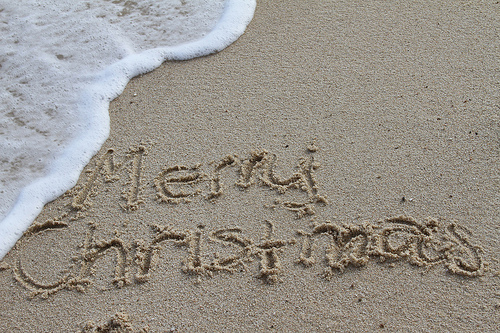 Christmas is celebrated throughout Los Cabos. In the days before Christmas, many restaurants, hotels, and stores will have holiday themed events. Christmas is a national holoiday so banks and other businesses might be closed. NYE is the biggest party of the year in Los Cabos. Many people make an annual tradition of bringing in the new year in Los Cabos. Almost all of the clubs and bars have events. Make sure to get your tickets in advance and book your hotel! Keep an eye out for celebrities and dress to impress. For more events in December, check out our December Calendar. Headed to Cabo in December? Share your experience!